Many people first learn that they have a serious health condition such as diabetes, high blood pressure, high cholesterol, and even cancer, not from their routine health exam, but from their annual eye exam instead. 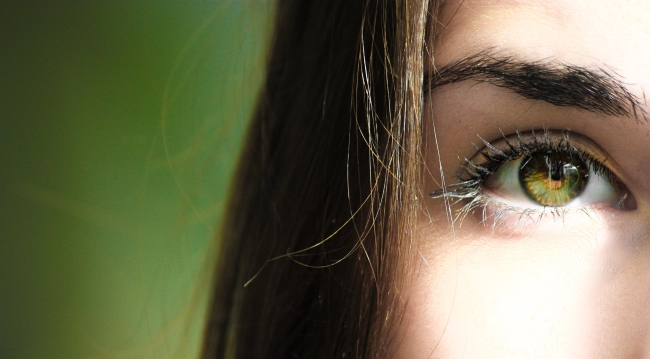 Eyes are not only the window to our soul, but they are also the window to our very healthy. For this reason, routine eye exams are a vital part of your health routine. Continue to read below to learn why you should take your eye health seriously and how we here at Invision Optical, and our Oakville facility, can help. Part of an eye exam included the optometrist evaluating the health and condition of the blood vessels located in the retina. The state of these blood vessels is a good indication of the overall health of the blood vessels found throughout the body. Diabetes, hypertension (high blood pressure), hypercholesterolemia (high cholesterol), and even tumours can all be detected through the changes in the appearance of retinal blood vessels. Diabetic eye disease is one of the leading causes of blindness in adults in North America. In the early stages, this disease has no visible symptoms, but a comprehensive eye exam is able to detect the early signs and is therefore vital in the prevention of vision loss. Glaucoma is a severe eye disease that can sneak up on people as the symptoms are almost non-existent. Many who find out they have this disease only do so after permanent vision loss has taken place, and by that time, controlling Glaucoma and stemming further vision loss may not be possible. An annual eye exam will help to catch the early signs of this disease, as high eye pressure can be detected during the testing, which is known to be a precursor to Glaucoma, making these exams paramount to keeping you and your vision healthy. Eye health is undeniably linked to our body’s overall health and should, therefore, be taken seriously. We hope this information has shown you why you should take your eye health seriously. If you have a history of diabetes in your family, then we suggest you book an eye exam at Invision Optical as soon as possible. Please click here to contact us at our Oakville facility online, or give us a call (905-842-9444), to book an appointment with one of our highly trained and knowledgeable eye doctors today! How Can Eye Doctors Help Improve my Vision Issues?